It’s always a ritual of mine to make a trip to Wofford College, located in Spartanburg SC. If you bleed black n’ blue like I do its well worth the trip. I’ve always enjoyed being there, minus the heat, and seeing my favorite players and recent additions. It’s a time where you can evaluate the team and see what progress is made. If you reside in Charlotte, as I do, the drive is a simple one and the trip isn’t long. Wofford’s campus is in prestine condition with accommodative parking where the field can easily be walked to. There are festivities that are offered, along with team merchandise and food vendors, for a fair price. 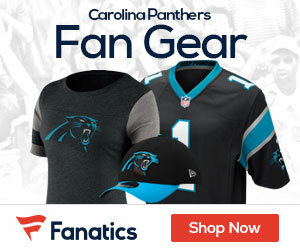 Be sure to check out the training camp schedule at Panthers.com for all the details. 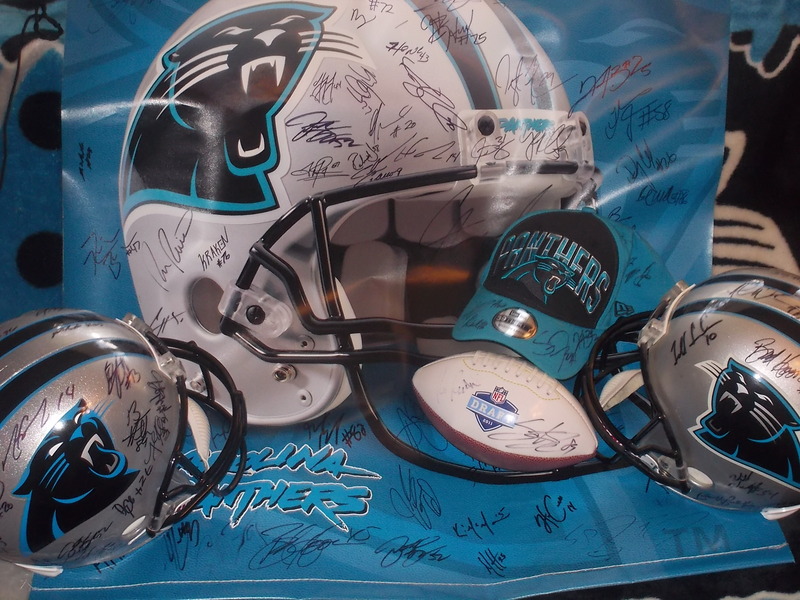 If you missed the opportunity to get your favorite Panthers player’s autograph, you might have the opportunity to get it at Spartanburg. The players quite often will stay after practice and sign stuff. There’s only a few more days left of camp. 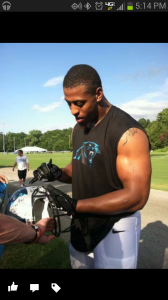 The Panthers will pick up on practice Sunday, August 11 and finish on Tuesday August 13. Sun. Aug. 11 6 p.m.
Mon. Aug. 12 2:30 p.m.
Tues. Aug. 13 9 a.m. If you do happen to make it to Spartanburg, be sure to check out one of my favorite places to eat: Copper River (great food at a great price).